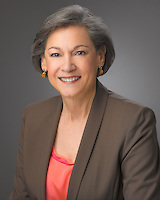 Dianne C. Lipsey is a founding principal and president of ADR Vantage. Since 1993 her leadership has helped ADR Vantage expand from a small ADA (Americans with Disabilities Act) consulting firm to the thriving organization it is today, offering a wide array of services that support strong workplaces and successful organizations. Dianne enjoys trusted relationships with her clients and uses her expertise as a facilitator, mediator, trainer and coach to help them deepen their capacity, whether as an organizational leader, manager or entering employee, for engagement, support and success. Over the years, she has also cultivated relationships with talented colleagues from across the country, enhancing the depth of experience at ADR Vantage and broadening our reach to support the needs of our clients anywhere in the United States. Dianne is fascinated by the complexity of workplace relationships and how to enhance them through new methods, tools, and strategies. In addition to her MS in counseling and BS in psychology, Dianne is an International Coach Federation certified coach. She is also certified to administer the Myers-Briggs Type Indicator and the Strength Deployment Inventory and frequently uses the Team Performance Indicator in her work with teams. Dianne along with her husband David loves travel and seeking new understanding from the people she meets around the globe. She is also committed to securing the future of the story of women’s equality in the US through her leadership of the Sewall Belmont House and Museum.